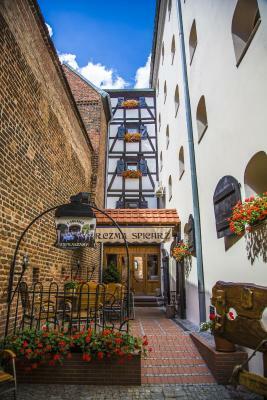 Lock in a great price for Hotel Spichrz – rated 9.3 by recent guests! Very impressed with the hotel, staff and service. I like that there was parking at the hotel and that the hotel is within the old town. 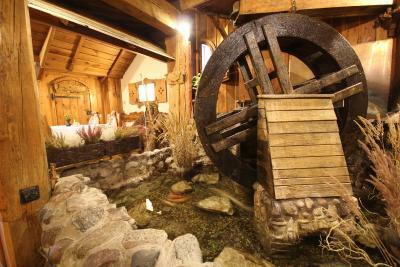 The restaurant was truly perfection of classic Polish dishes and current options. We were treated like VIPs. 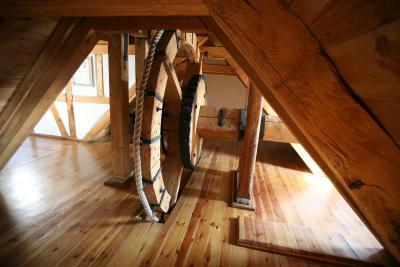 This beautifully renovated granary has the original beams and wood floors. 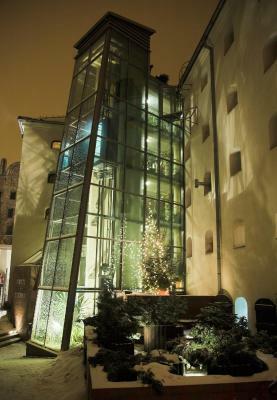 Our room had an atrium with our own little Christmas tree, and a view of the Vistula river. Right in old town. Once our taxi brought us, appx 10 minutes from the train station. We didn't need a car the entire time we were there. The best homemade cheese! Breakfast was excellent!!! No doubts! 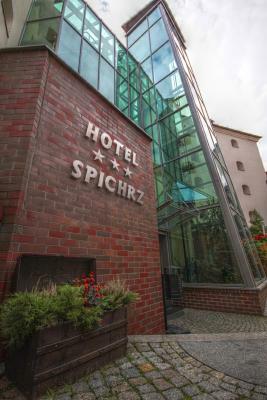 I recommend hotel Spichrz!!! BATHROBES AND SLIPPERS WERE A NICE TOUCH - THE RESTAURANT IS FABULOUS, BREAKFAST IS WONDERFUL. 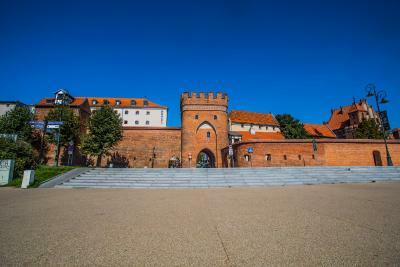 I wish I had more time to spend in Torun on my trip. I would definitely go back if I go back to Poland! 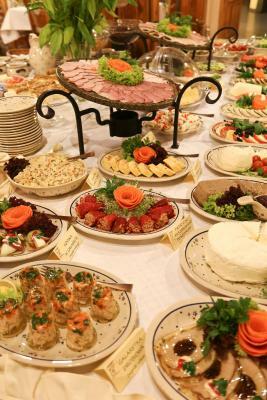 Amazing breakfast, huge spread and varied options, served on beautiful Polish dishes. Convenient walk to core of town. Excellent hotel, great location and terrific breakfast. Will stay again. The period architecture was wonderful. 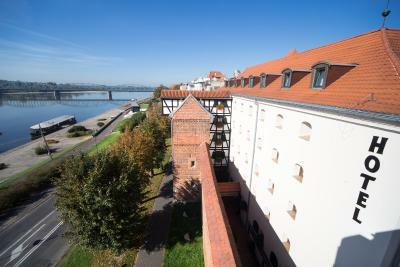 Beautiful views out the old windows was fabulous of the Vistula River. Bathroom was small but very nice. Location perfect. Steps to the river walk. two blocks to Old Town. 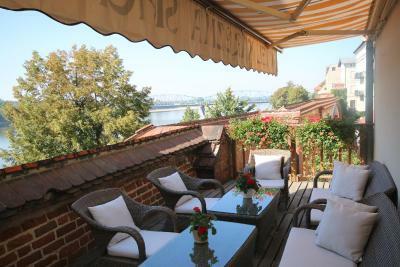 Hotel is in the heart of the Old Town, overlooking the Vistula River, and allows an easy walk to all sights, restaurants, etc. It is very quaint in appearance, but modern with an elevator. 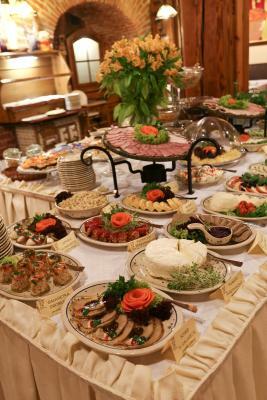 They provide a wonderful buffet breakfast, which includes made-to-order eggs, pancakes and just about anything else one could want. The hotel also has a very nice restaurant for dinner, lunch. Staff is very friendly with excellent English. The breakfast was fantastic - such good food! 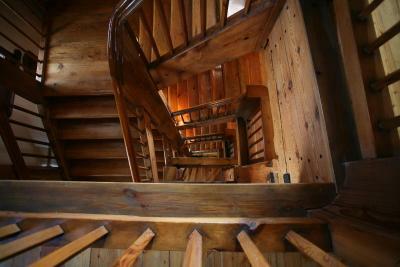 The property is super charming - a renovated former granary and mill. All exposed timber and with exceptional views of the river right out your window, you leave the property and are in the middle of the old town in Torun. Great location just a short walk away from all the main activity in Torun, a very interesting Polish city. . Good restaurant for breakfast as well as other meals. Nice staff. Reasonable price. Quiet hotel in an historic building. Hotel Spichrz This rating is a reflection of how the property compares to the industry standard when it comes to price, facilities and services available. It's based on a self-evaluation by the property. Use this rating to help choose your stay! 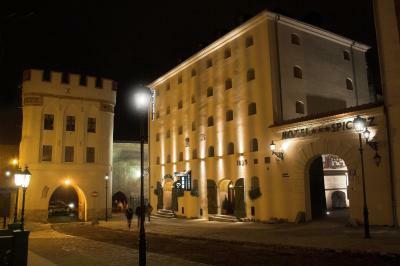 The unique Hotel Spichrz is located in a granary from 1719, in the center of Toruń’s Old Town, by the Wisła River and the historic Bridge Gate. 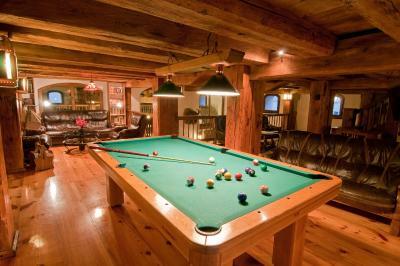 It offers accommodations with free Wi-Fi and a TV with cable channels. 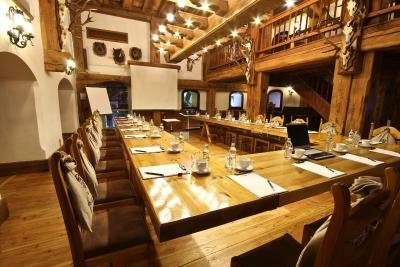 The rooms at Hotel Spichrz are elegant, feature beams and wooden furnishings and most of them offer a view of the Wisła River. 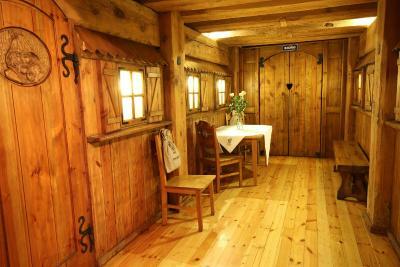 Each comes with a refrigerator and a bathroom equipped with a shower and a hairdryer. 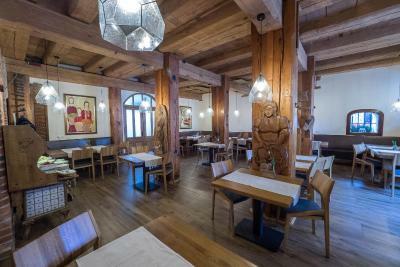 There is a restaurant at Hotel Spichrz which offers traditional Polish food and guests can enjoy their meal while listening to a folk band. Toruń Główny Train Station is 1.4 mi away from the hotel and the Copernicus Monument is 1,300 feet away. 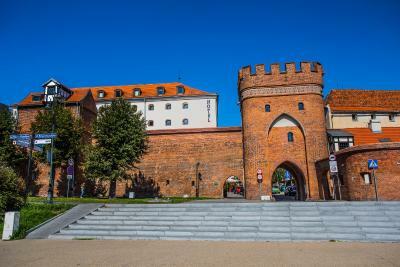 This property also has one of the top-rated locations in Toruń! Guests are happier about it compared to other properties in the area. 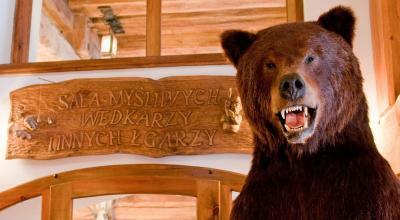 This property is also rated for the best value in Toruń! Guests are getting more for their money when compared to other properties in this city. 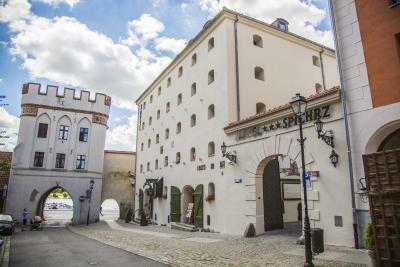 When would you like to stay at Hotel Spichrz? Elegant room with a private bathroom, cable TV and a refrigerator. 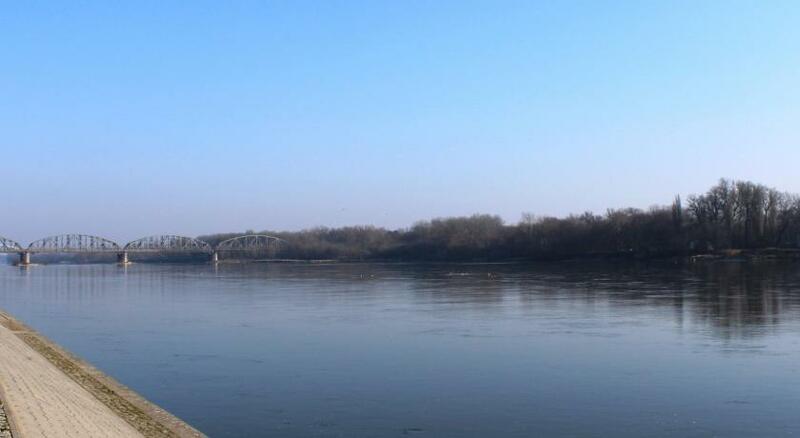 Private parking is available at a location nearby (reservation is not possible) and costs PLN 20 per day. Spacious studio with two bedrooms. Spacious apartment with a separate bedroom and a living room. 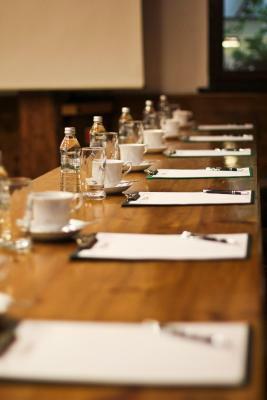 House Rules Hotel Spichrz takes special requests – add in the next step! All children under 12 years are charged PLN 60 per night for extra beds. 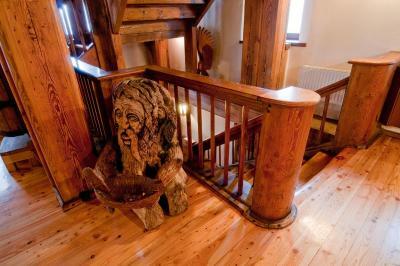 Any additional older children or adults are charged PLN 100 per night for extra beds. Hotel Spichrz accepts these cards and reserves the right to temporarily hold an amount prior to arrival. Very nice and friendly cottage feel. The view and design in the room!! Perfect breakfast, one of the best in my life. Position and confort at top quality. Spichrz hotel definitely exceeded our expectations! 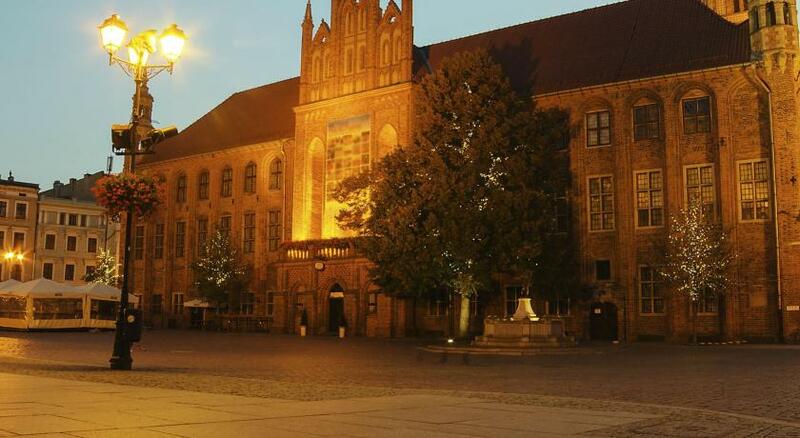 A very beautiful place, historic atmosphere, great people and location. Amazing! Perfect breakfast and nice room. Good location and breakfast. Helpful and kindly staff. TV. I found only one programm on english. I dont even ask about russian :) but tranlations about historical things in the building has russian language. If your windows to the street be ready for crowd noise till midnight and more ( i dont know what is there - opposite of street but youngs cried to late time. Excelent location and inside atmosphere. Old building near 300 year and you live in historical place. Restaurant was perfect and with breakfasts and good menu. Staff polite and ready to help. Wifi is everywhere but in our corner it was not good sometimes. That I could not stay longer. The showers were a bit small for me. I'm a big girl. 50PLN charge for a dog?!?! This is absurd! This is more than a 20% increase in the price, and is not reasonable. 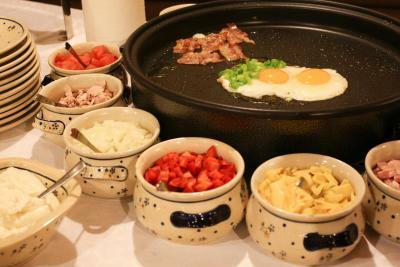 Also, while the breakfast is indeed very luxurious, for those who do not eat meat and dairy, there are very few options. It would be wonderful to have the option of some hummus, ajvar, vege pate, or another non-animal spread so that those who do not consume animal products are not left eating bread with jam or corn flakes with soy milk. Also, the beds are very soft and should be updated. The room was wonderful, so it was a pity to be disappointed in the sleeping conditions. The structure and location of the hotel are fantastic! The staff are friendly, and the atmosphere is wonderful! If u want to feel as if u're at home visit this magnificent hotel. 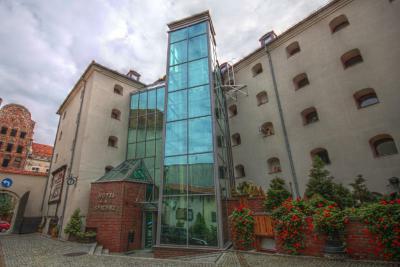 It's situated in the very heart of city center. Restaurant proposes delicious food.